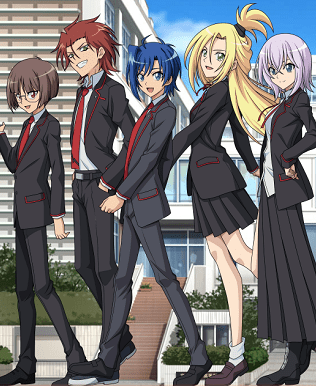 Plot Summary: The main protagonist Sendou Aichi, is a timid and mundane third-year middle school boy. The thing that supported Aichi's heart, was the "Blaster Blade" card that he received as a child. It's an important rare card from "Vanguard", a card game with the imaginary world of "Planet Cray" as its stage. From the day he reunited with the person who gave him that card "Toshiki Kai", Aichi's everyday life began to change.